Froth milk using electric/battery powered milk frother. Pour coffee into a tall heat-resistant glass/mug and stir in dark chocolate sauce. Add butter pecan syrup and frothed milk. Spoon a thin layer of foamed milk over the beverage. 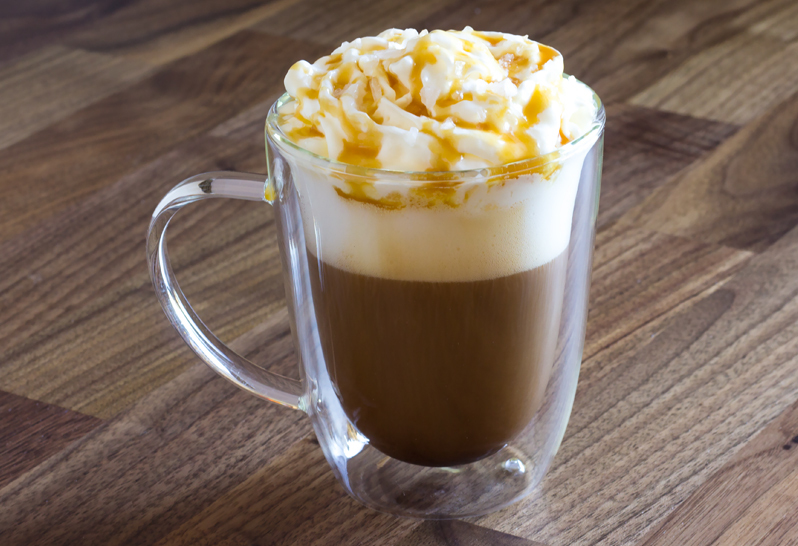 Top with whipped cream, Torani Caramel Sauce, and sea salt. You’re welcome! Torani syrup is definitely versatile, especially with 80 plus flavours available. Checking out your blog now! Ordered coffee pods ,glad I found your site, next day delivered my order, prices are the best I found, Great service. Will defienetly be ordering more from your company. VERY SATISFIED CUSTOMER.